Yesterday, on Valentine's Day, a special day for many loving reasons, the winners of the 2015 Cybils Awards were announced. You can find all the winners here. 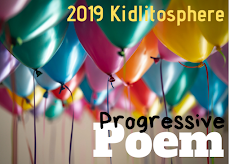 I'm proud to have participated in this final judging round for poetry, and excited to share our choice this year. It wasn't easy; the finalists sent to us are all marvelous and enjoyable books. I enjoyed working with the other judges in our group, Diane Mayr, Laura Shovan, Heidi Mordhorst Rosemary Marotta, and our facilitator, Jone McCullough. I read quite a bit this week, and loved them all. For those of you who have urged me to read Rooftoppers and The Wolf Wilder, I thank you. They are wonderful stories. Many have urged me to read this book, and somehow I put it off until this past week. What a pleasure, what a sweet adventure. It’s so creative in its characterization. Like Sophie, the main character, some parts of the book made me want to sit on my hands to be sure I was not going to jump out of my seat. A ship sinks, and a one-year-old baby is found sitting alone in a cello case, in the middle of the English Channel. The man who lifted the baby out of the water was a fellow passenger, and as the book says, “noticed that it was a girl, with hair the color of lightning, and the smile of a shy person.” This was Sophie, and Charles, who became her caregiver. He had not raised a child before, and as she grew, some things became unusual, like Sophie breaking plates (no reason given) so they ate on books. And other things became wonderful, like the utter trust and love they had for each other, often shown in action (Charles gave her twelve leather-bound classic books on her twelfth birthday and they ate ice cream in the rain from the outside box of a four-horse carriage). Unfortunately, a Miss Eliot from the National Childcare Agency kept interrupting their lives with frequent visits to see if Charles was doing a good job. The story shared that she had “an expression like a damp sock.” And sadly, she was not only going to disrupt their lives, but recommend that Sophie be taken away to live in an orphanage, so she can learn about the proper way of buttons and to wear skirts, and on. That’s where the story becomes even more wonderful. There are more adventures, other good-to-know characters and hair-raising risks for Sophie and Charles. If you’ve missed this book as I have, please find and read it soon! There is so much I haven't written because I want you to discover those parts yourself. 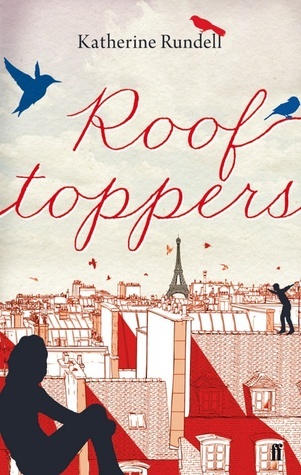 You will see that not only did I finally read The Rooftoppers, I fairly raced through this latest one by Katherine Rundell. Oh, wow, it is marvelous. And it begins: “Once upon a time, a hundred years ago, there was a dark and stormy girl.” Within the harsh Russian cold, and out-of-control and cruel generals because the Tsar has an ill son, we find Feo, a young girl about 13, and her mother, Marina, of a family of Wolf Wilders for generations. Wolf Wilders help the wolves brought to them from aristocracy who had them as pets, but found that sometimes, they did something unwelcomed, like biting a few fingers off. Yet, these wolves have never learned to run or tear into meat, only to sit and do actions demanded by their ignorant wealthy owners. Feo is very at home in the outdoors with her wolves, helping them return to the wild. She is not comfortable at all with other humans, except her mother, and they live is such an isolated place, that’s okay, until the cruel General Rakov arrives to arrest her mother and burn her home. That’s when Feo finds more courage than she knew she had. With help from others, some humans, and her wolves, the adventure widens. The characterization of even the lesser characters is strong, all unique in their strengths, each one contributing to Feo’s quest. After a while, one begins to love the three wolves along with the humans, also unique, but loyal to the end. Because I also recently read The Rooftoppers, I see that Rundell loves to paint unusual characters with admirable as well as quirky traits, and always strength. 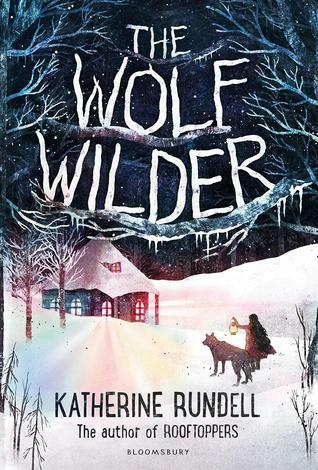 The language and descriptions Rundell uses are beautiful: “And there is no warmer blanket than a wolf. From her fire a smell rose up: flames burning night air, mixed with frost and the wolves’ familiar earthy tang. It was like breathing in hope.” I was sad to end this marvelous story, and liked it very much. It would make a wonder of a read aloud to a middle grade class. I have loved Raymond Briggs for a long time. You might know his wonderful book The Snowman, especially, but my children grew up laughing and reading the marvelous graphic picture books Father Christmas and Father Christmas Goes on Holiday, the special times with Santa, his wife and the amusing Cat and Dog. When I heard about this graphic memoir about his parents and found it at my library, it was great news. In wonderfully detailed graphic style, Raymond tells the story of his parents, and his, lives, meeting and falling in love, a housemaid and a milkman, through the vast, sometimes incomprehensible changes from the 1920s at their chance meeting to the 1970s when they died. They lived in the same home all their lives, buying it when they really didn’t have enough, but slowly earning and saving for the furniture, a new boiler, electricity, a wireless, and on. That itself is fascinating to see those household improvements. But also poignant is the move to understanding of Hitler, and withstanding the horrors of war, bombings and sending their only son, who is Raymond, to the country as so many did to keep their children safe, then changes in the aftermath--all seen in Raymond’s extraordinary pictures. I loved every bit, and hope you’ll get a chance to read this memory-laden story. There is a secret in this new book by Marilyn Nelson, and I don’t want to reveal it. I enjoyed the story, loved how she wove family and history, racism and pride into the story. She also wrote so subtly a strong underlying message of some people who still don’t want to mix with those who are different, and others make clear actions to show that all people are to be included. It’s a lovely and fascinating story. A young boy named Billy Hightower appears lonely, but across the way, in another tall, tall building, he spies a little girl. He tries his best to find her, but the wind carries his “wishes” in other directions. 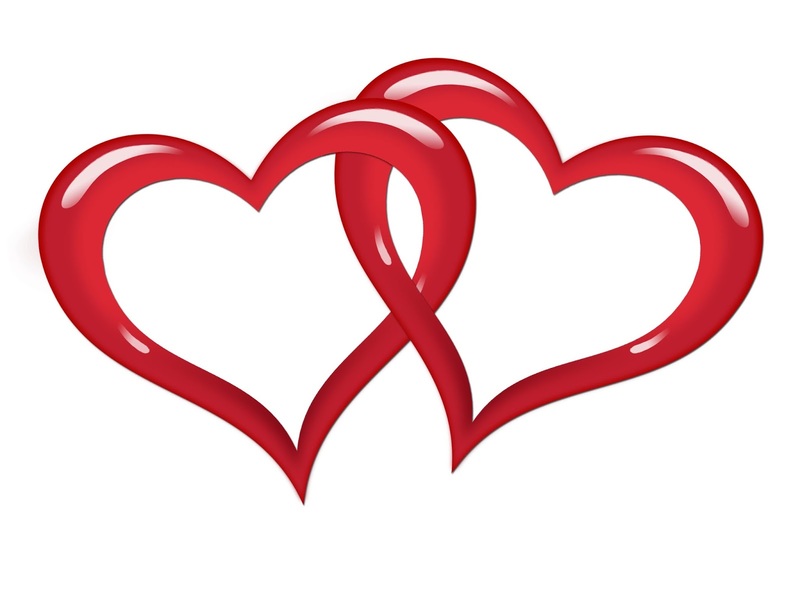 It’s a kind of a love story, and it does have a happy ending, but you’ll have to read it to discover what’s in the middle! Everyone seems to understand about goslings imprinting themselves on the first thing they see after they hatch, except Bruce Bear. He’s really hungry and only wants a nice meal of cooked goose eggs. Unfortunately, when he begins cooking, they hatch. Bruce Bear tries everything to get rid of those babies, but even their mother just take off south early! It’s a hilarious book, and sweet, too, because Bruce finally finds he rather likes those now-growing-up geese, and they reach a compromise. Bruce Bear becomes Mother Bruce. The illustrations are big and bold with easily recognized expressions, just right for young children. Next: Starting Red: The True Story of Red Riding Hood by Liesl Shurtliff. 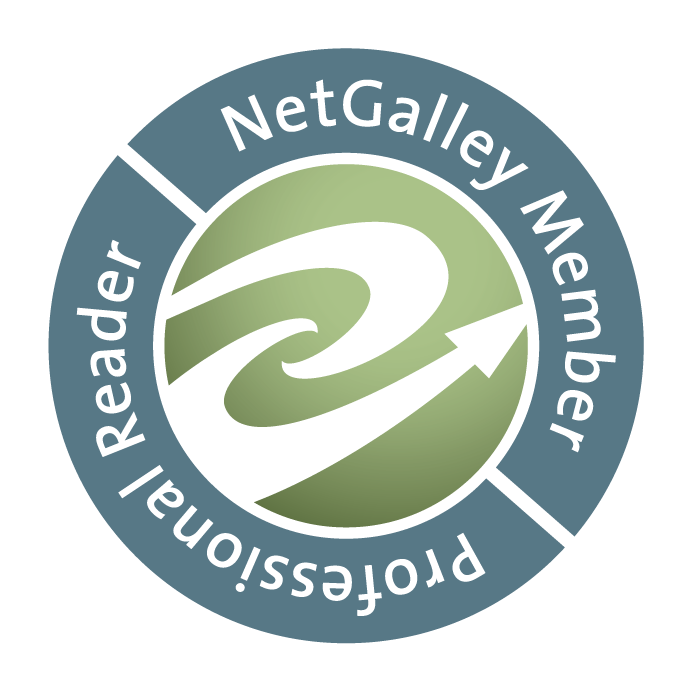 I have an arc, thanks to NetGalley. Ethel and Ernest looks just lovely - I remember loving the Father Christmas and Snowman books as a child, and I definitely want to read this one, thank you for sharing it! It was just great, Jane. I hope you like it. Both of the Rundell books look awesome! I wish I had more time for novels. 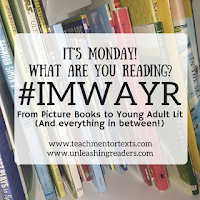 Lately, I average about 1 a week and then try to read at least 1 picture book a day. But I've definitely put both of these books on my list. I really enjoyed Red: The True Story of Little Red Riding Hood. The other 2 books in the series Rump & Jack are very popular in my classroom library. Have an awesome week! I don't always finish so many in one week, Jana, but had nearly finished Rooftoppers, then went on to the other one, & had quite a few evenings free this week. I love Shurtliff's books, so know I'll enjoy Red. Glad you say that you liked it, too. I wonder whether Wolf Wilder will be a great companion text to Pax which I've also been reading so much about. People seem to be raving about it. How awesome that you've read so many books over the past week. 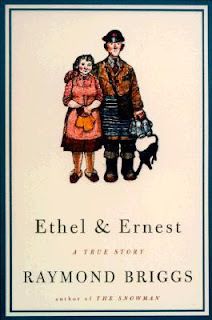 Ethel and Ernest is extremely special, I thought. Truly a beautiful story. Raymond Briggs makes the most deeply affecting graphic novels. I just got Pax, will try to get to it soon, Myra. Yes, lots of talk about it! I was so glad to discover Ethel & Ernest, loved it as you can see. Yes, Raymond Briggs is a master at telling his stories in art. Hi Linda, Rooftoppers looks like a beautiful story. Thanks for sharing! You read a lot this week--it's always so good to see what you're reading. It was a lot, & I was happy to have such marvelous books to read! Hope you'll find Rooftoppers and enjoy it, Melanie. Oh no - now you have me hooked. I am just finishing Rooftoppers and now must read The Wolf Wilder. I have so many books stacked up but every time I read your post I find a new one. I have about 75 pages to go before I finish it. I love Sophie - she is a great character. Thanks for leading me in the direction of great books. Wonderful, Joanne. They make a great pairing! You are welcome, but I'm just passing on what others have recommended too. Congratulations on your choices! It must have been so much fun to be a final Cybils judge! It is a pleasure to be a judge, Kellee, and exciting to know a winner before it's announced, too. Thanks! I loved Mother Bruce! Such a great book for a read aloud! It is a delight, I agree. My goodness, what a collection of great reads, Linda! All of these are new to me, so I've added them to my must get list. Many thanks! I suspect The Wolf Wilder would make a terrific read aloud, Tara. Enjoy what you can find time for! Thanks to you, I think I may have discovered a new author to explore. The Rundell books sound amazing. I will be looking for them. I have put the Rooftoppers off too long, Kay. I hope you enjoy them as I did. Putting Mother Bruce on my library request list! Can't wait to see it! Such fun, Deb. I had a big laugh with it. The expressions are wonderful. 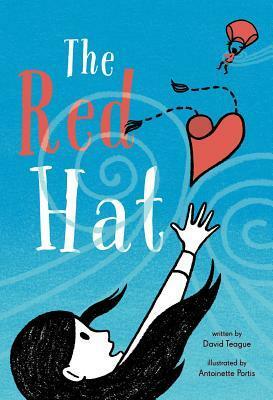 Rooftoppers, Flutter and Hum, Father Bruce, The Red Hat - loved all of them! I read Father Bruce to sixth graders last week. They were especially intrigued since their teacher's name is Bruce. And now I'm off to request more books! Thanks for sharing. All terrific, we could share lots of books if closer, right, Ramona? I also have ready Home of The Brave, via your recommendation. 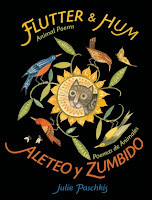 It sounds like an amazing experience to be on the selection committee for the Cybils - We can't wait to read Flutter and Hum! It's a beautiful book, hope you enjoy it! Yes, it's lots of marvelous reading and discussion of some very good books of poetry. Congrats on your Cybil winner! That was an excellent book. This was my first year as a judge (Fiction Picture Books), and it was such a great experience and excellent discussions. I will definitely be checking out Wolf Wilder - it just keeps popping up! Thanks, Katie. Myra shared about the picture books today. I love that you were on the committee too. It is a great experience. Hope you find & enjoy The Wolf Wilder. I just reread Mother Bruce because I'm going to use it with teachers this week. It's such a fun book! Many of my East Coast friends saw him today at a local indie. I'm sure he's fun to listen to! I won't even share what I have & am ignoring, & I'm not working anymore! Perhaps someday you'll find time for the Rundell books. They're worth it, Michele. Wonderful that Ryan Higgins was at someone's bookstore. I do like this book of his! I'm impressed with all you read this past week, Linda! So many of these sound wonderful, and I've added quite a few titles to my TBR list. I'm especially intrigued by your comments and what little else I've seen about American Ace! I'm anxious to get my hands on that. Mother Bruce is one that I purchased recently, but haven't read yet. Sounds like it may be time to pull it out for a read-aloud! I appreciate your descriptions and recommendations. Have a great week! 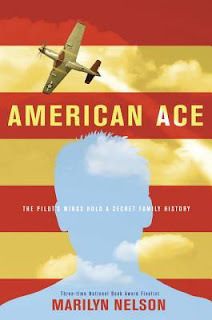 Thank you, I hope you do find American Ace. It was a fairly quick read, but quite a joy as it wound through the story. I really meant it. I didn't want to give away the surprise. Perhaps other review have, but I loved that about this book. You'll see! Also, enjoy Mother Bruce, very cute. I am so pleased that you liked both of these titles by Katherine Rundell. I am a super fan! I also adored Mother Bruce. I laughed so loudly in the bookstore, I knew this one had to come home with me! Yes, loved them all. If you have time, look at Joanne Toft's site for a beautiful interview with Rundell. Thanks, Carrie. Hi Linda, I am very interested in The Wolf Wilder and Rooftoppers! 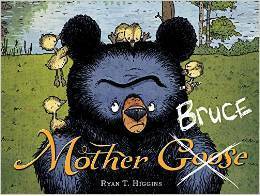 I LOVED Mother Bruce and just found out the illustrator lives here in southern Maine! I think it is his first book, and what a marvelous one. Good news for you, Gigi. Perhaps he'll be in a bookstore near you, soon. Hope you find and read those Rundell books! I'm nearly finished with Rooftoppers--such writing! Really looking forward to The Wolf Wilder. I love Marilyn Nelson and am intrigued by her newest. I haven't had a chance to dip into the Cybils lists yet--looking forward to that too! I'm so glad you're liking Rooftoppers. As you can see, I did too!